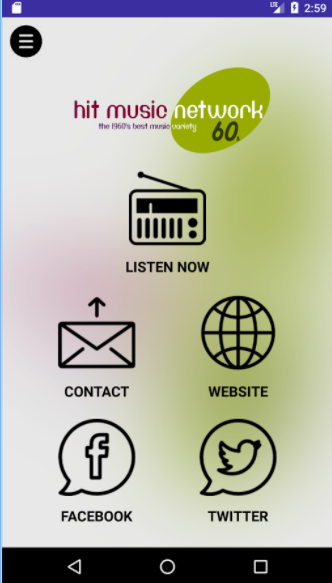 autopo.st are now offering iOS, Android and Amazon mobile phone apps for Radio Stations. There is no setup fee and no design costs involved! Just a small monthly fee for hosting your apps, we take care of the design, development, configuration and publishing to both the Android, Apple and Amazon App stores! We just need a couple of logos and your stream information and your app will be live in just a few days. Listen Live feature (of course!). Display the artist image and name of song playing. Compatible with low-bandwidth AAC streams (save your listeners bandwidth!). MP3 is, of course, also supported. Configure up to 6 different audio streams. These may be alternative bitrates, or up to 6 different feeds. Contact Form (for requests and dedications, etc…). Push Notifications (send instant and scheduled messages to all users that have installed the Apps). Choose to add Google AdMob adverts (Monetise your App!). Choose to add ‘Buy this song’ Amazon affiliate icons (Monetise your App!). Dashboard stats (App installs, App usage and yearly usage graphs). Configure and update streams, send Push Notifications and other details via our Control Panel in real time. We’ll take care of all the design costs, development costs and setup and publishing of your apps to the Apple App Store and also the Android Play Store. Want to take a look? View one of our demo apps on the iOS Apple Store here, the Android version on the Google Play store here and the Amazon App store here. Download them and have a play! Then get your very own mobile apps for YOUR Radio Station! Please view the Terms and Conditions here before signing up.